Carol M. Ford has more than twenty years of experience in the publishing industry. She earned her BA degree with Honors in English/Liberal Arts from Glassboro State College (now Rowan University) in Glassboro, New Jersey. She is the Director of Editorial Services, an editor, and a managing editor for Anthony J. Jannetti, Inc. (AJJ), a health care association management, marketing, and publishing firm located in Southern New Jersey near Philadelphia. Working with leaders in the nursing community, she oversees the production of several clinical peer-reviewed nursing journals, publications, and textbooks. Carol has authored and published several articles on writing and publishing, has self-published two short stories, has written several novels on spec based on Hogan's Heroes, and has co-authored a two-part teleplay on spec based on Dracula: The Series. Since 2011, she has owned and managed the Vote For Bob Crane National Radio Hall of Fame campaign. Bob Crane: The Definitive Biography is Carol's first major non-fiction work. In addition to her deep understanding of Bob Crane and her writing skills, her extensive knowledge of publishing for the health sciences has equipped her with keen investigative and research skills, ensuring the final publication of the book, which was thoroughly researched for twelve years, is evidence-based. A portion of the profits from Bob Crane's biography is donated to various charities in Bob's memory. Carol is CEO and owner of Carol M Ford Productions, LLC, which provides individuals, organizations, and businesses with podcasting, voiceover, and video production services. She currently oversees the production of the Jannetti Publications, Inc., podcast series, which provides extended content of AJJ's scholarly, peer-reviewed nursing journals (Nursing Economic$, MEDSURG Nursing, and Pediatric Nursing). She also provides podcast production services for AJJ's clients. Throughout 2017, Carol co-produced and participated in a podcast based on Bob Crane's biography, The Bob Crane Show: Reloaded (no longer in production). In addition, Carol has experience in website design, development, and maintenance, and has constructed websites for various individuals, as well as for herself. She also co-developed, owns, and maintains the Bob Crane: Life & Legacy website. 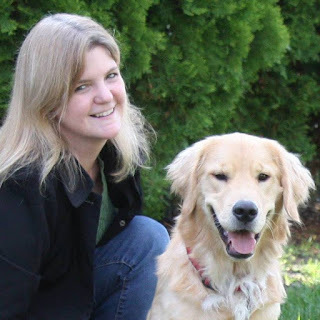 In 2018, Carol published Golden Linings: Tiny Tales about Pets, for Pets, a book where a portion of profits will be donated to animal shelters to help abused/homeless animals. Her publisher has recently approved Golden Linings 2: More Tiny Tales about Pets, for Pets, which is scheduled to be published in Summer 2019. Carol is also working on a new book, a thriller/horror novel set in Arizona. Her spare time is filled with writing, reading, photography, drawing, music, traveling, hiking and fitness, her pets (a cat, Charley, and a Golden Retriever, Copper), and spending time with family and friends. When she finds time to read, Carol reaches for historical fiction/thrillers/mysteries, and she lists Dean Koontz, Louise Penny, and Dan Brown among her favorite authors. An avid cook, she loves experimenting with new recipes and inviting friends over for dinner. Carol has traveled extensively across the United States and around the world, including to England, Ireland, Scotland, and Australia. She has tutored with Literacy Volunteers of America, teaching adults how to read and write, and has also assisted young children in developing their reading and writing skills.